Planning Ahead for your Interior House Painting. The quickest and most affordable way to smarten your home is to paint the interior. But first there are a few items to consider before you go ahead yourself. Many older homes built in Australia before 1992 might have been painted with lead based paints and depending on the type of work undertaken the relevant precautions should be undertaken. If you want your interior paint job to look its best and endure for as long as possible the preparation is the source of a good finish to you paint work. If you are on a budget and want to save some money you can do the prep work yourself. Dirty walls and wood work should be correctly cleaned. This is most important in the kitchen next to the stove and sink and in the bathroom. Grease spots, furniture polish and soap scum will create problems for you paint as it tries its best to stick. Often an unclean surface will show signs of beading whilst the paint is still wet and even worse when applying a second coat the and area of paint may just blister and peel away. Look for any cracking or peeling because if it can be picked off easily then sure enough as you paint it will come away. There a few types of paint primer that are specifically made for peeling paint that make it good to paint over. Holes from old picture hangings need to be filled and prepared. But holes larger than a 5c piece may need a different method depending on the wall structure, these areas need to be smooth and not by eye always best to run your hand over the repair to check. Choice of Paint Colour. 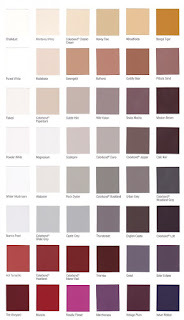 The rule of thumb for paint colours is that the darker they are the smaller the room may look. You can check out different paint options by purchasing a small sample pot of the paint colour and see how it looks on different walls in the room. Many paint manufacturers off colour visualisers or apps. Choice of Paint Finish.The last element is the finish of the paint. Flat or matt paints are great at hiding imperfections on the other hand the glossier the finish, the easier it is to clean. A low sheen finish has only a slight gloss, so may be a great alternative.